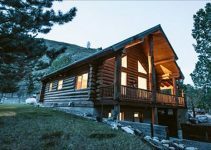 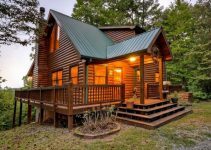 This custom log home has three bedrooms and three bathrooms, so it’s a comfortable size to use for full-time living or use as a vacation home at the lake. 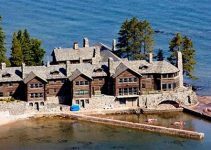 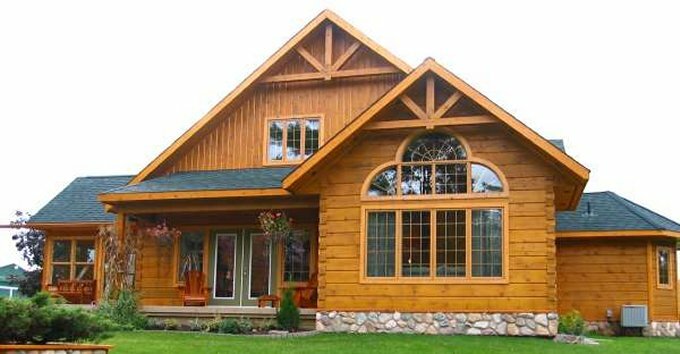 On the main floor of this log home is 1,559 square feet of living space. 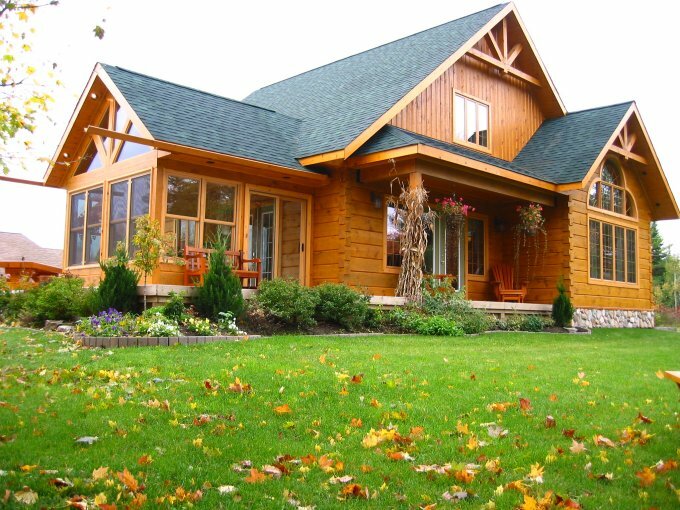 There is an open great room/dining room/kitchen, master bedroom and ensuite, and bathroom. 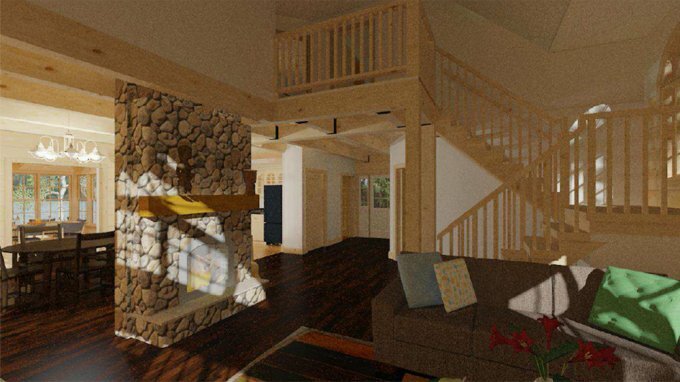 Upstairs there are two bedrooms, a bathroom and a space that opens up to below.